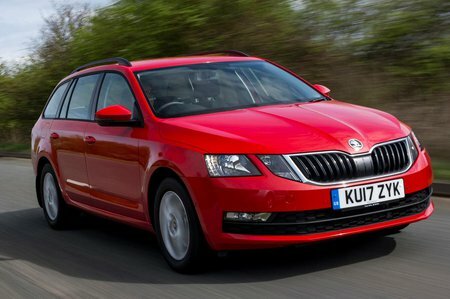 Skoda Octavia Estate Interior, Sat Nav, Dashboard | What Car? Even entry-level S trim features an adjustable steering wheel and seat. The adjustment range is wide and, together with the well-placed pedals, it all makes for a comfortable driving position. Although the seat is quite firm, it is supportive enough, and most drivers should find it’s comfortable on a long trip. The vRS models have sports seats that are just as comfortable but offer extra side support for when you’re cornering with added zest. Only the top-spec Laurin & Klement version has a powered driver’s seat (it’s an expensive and unnecessary option on the vRS) but in any case, the standard manual seat adjustment on all other models is easy to use, with all of the seat controls being conveniently located. Thanks to a logical layout and clear labelling, using the various dashboard buttons is simple and straightforward, too. Visibility at all corners of the Octavia Estate is very good. It’s easy to judge where the bonnet ends, and large rear and side windows combined with relatively narrow rear pillars makes the view through the rear screen or over your shoulder is as good as it gets. 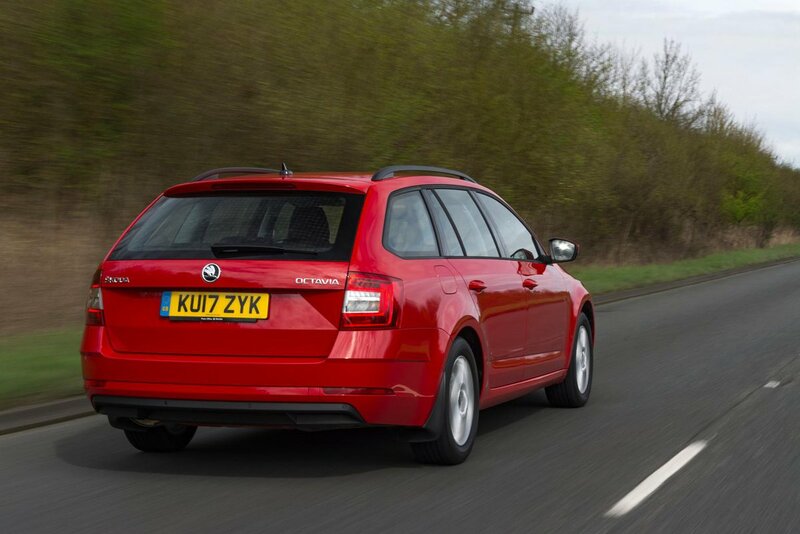 For added help rear parking sensors are standard from SE trim upwards (they’re an expensive option on the S), while front and rear sensors are standard on SE Technology models. A rear-view camera is optional on all but the S trim. An automatic parking system that steers the car into parallel or bay spaces is standard on the Laurin & Klement version and optional on lesser models. And you can upgrade this to include trailer assist, which will help you reverse a trailer or caravan, as well. 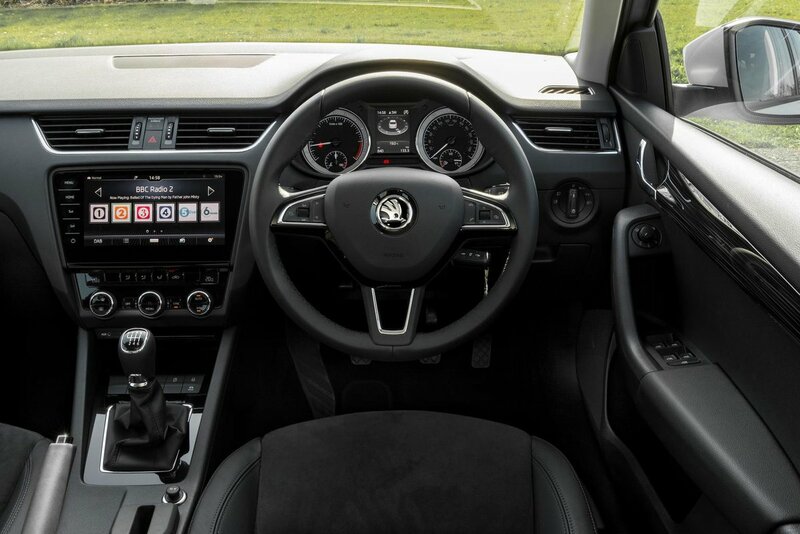 The standard 8.0in colour touchscreen is extremely high definition and is the medium through which you control the Octavia’s infotainment system. The system includes a digital radio, Bluetooth and audio streaming. Apple CarPlay and MirrorLink are also standard, which allow you you use some of your smartphone’s apps through the touchscreen, including Google or Apple Maps. The touchscreen is responsive, has logical menu layouts, and the big icons are easy to prod when you’re on the move. An upgraded system with factory-fitted sat-nav and on-board wifi is standard on SE L, SE Technology and includes a 9.2in touchscreen on Laurin & Klement trims (it’s an option on SE and vRS). With these systems you also get on-board connectivity that allows web browsing and live data access, including traffic and weather reports, and the availability of local parking spaces. With eight speakers as standard, the stereo’s sound quality is good by class standards, but it is still a little tinny. An upmarket 10-speaker system is an option on most versions, and standard on Laurin & Klement. Some of the materials around the lower parts of the cabin and around the seat bases feel more durable than high class, but the plastics in key areas are textured and feel pleasant enough to the touch. The switchgear is well damped, too. SE models and above have contrasting trims on the dash. They brighten things up and are an improvement on the slightly dour, darker finish of the entry-level car.